Mexico is the country of contrasts – from hip cities and historic architecture, to staggering natural wonders like lush rainforests or pristine beaches. It said to be the second most beautiful bookstore in the whole world! From 1919 to 2000 the building was home to historic Teatro Gran Splendid. The natural reserve is known for numerous volcanic cones and arid surroundings, creating an unearthly landscape. Found on the one of the smaller islands of the Bahamas, the beach provides a perfect place to sunbathe and swim in the warm crystal clear water. 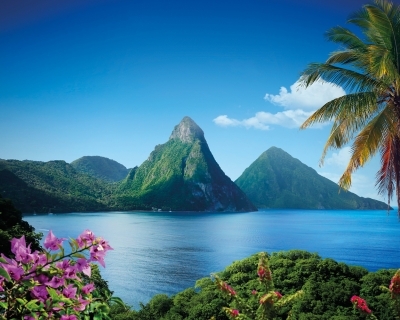 The island group in the Caribbean Sea is known for its pristine beaches, unspoiled rich nature and privacy. The Caribbean island is privately owned, therefore it is one of the best preserved places in the region. An Ancient Maya archaeological site preserves an impressive abundance of historic heritage. The southern part of the country has a dramatic coast, with numerous fjords and channels. The iconic Gardens were opened in 1808 by King John VI of Portugal. The picturesque town of Ushuaia has a port, which is a point from where the Antarctic expeditions take off. On the northern side of it sprawls the Salar de Uyuni – the largest salt flat in the world. 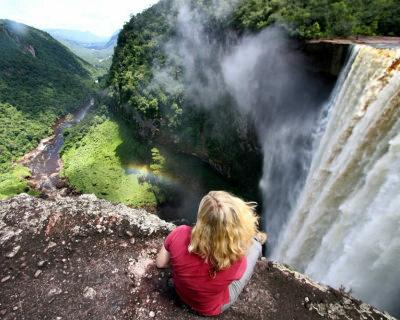 At the heart of a pristine park there is the most precious gem – Kaieteur Falls, whose average flow rate is among the most powerful in the world. The river mesmerizes with amazing colors: vivacious yellow, green, blue, black and red shades quiver from the bottom. Today it is enlisted as a World Heritage site and protected by UNESCO. The place where „the moon sets“ definitely looks like from a different planet. The second largest Art Deco statue in the world, Christ the Remeemer ascends high on the mountain, overlooking gorgeous panorama of Rio.